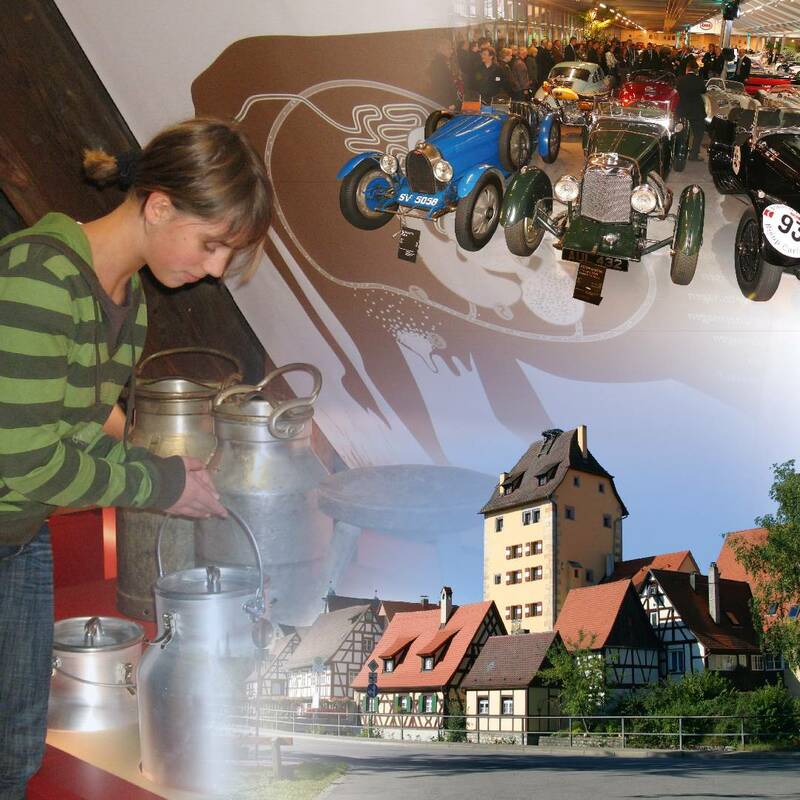 There is a great deal to discover in Hersbruck‘s Little Switzerland. From May until the beginning of October the tourist association conducts tours of the historic town centre and shows among other things the splendid renaissance castle which today houses the district court. The Water Gate, the principal landmark of the town, and the birthplace of Johannes Scharrer, the founder of the first German railway, are always on the programme. Hersbruck‘s Little Switzerland also has a number of museums, some of which are very unusual. The Museum of Herdmen‘s Culture, which is unique in Germany, specialises in the lives and work of herdsmen. Hersbruck‘s art museum is small but very nice. The Dauphin Speed Event collection has on display some 300 classical and vintage cars and motorcycles. The castle in Hartenstein houses an exhibition on the age of chivalry and in Reichenschwand the Löffler collection of as many as 600 chairs and seats may be seen. Music and art are also very much at home in Hersbruck‘s Little Switzerland. The month of August is completely dedicated to the guitar, when Hersbruck hosts the international guitar festival. Artists from all over the world come to hold workshops, to pass on their knowledge and to show their skills at concerts. 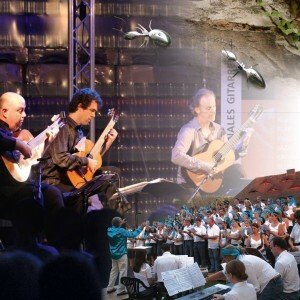 It is, of course, not only in August that music can be heard in Hersbruck. Besides a variety of choirs and musical societies the gospel choir, „Sound of Joy“, which has made its name famous worldwide, is also based in Hersbruck. In other fields of art Hersbruck has much to offer. Constantly changing exhibitions show contemporary fine art from the region. A permanent feature is the sculpture path which leads from the Fackelmann Thermal Baths to the town centre and charms the beholder with some lighthearted works and some which give cause for reflection. In addition an artist‘s market is held once every year. Hersbruck‘s Little Switzerland has taste. Everyone, who has indulged their palate here will tell you that. The reason is obvious or, one might say, is lying on the table. „Heimat auf’m Teller“, meaning Home Grown Food, is the motto used by a group of restaurateurs who have set out to serve predominantly regional fare. It‘s delicious! For those who prefer a hearty meal there is the „Schlachtschüsselführer„ a list of restaurants offering a traditional selection of boiled pork from freshly slaughtered pigs. With a bit of luck the guests might bump into the „Schäufeleskönig„ or Shoulder of Pork Champion who recently took up residence in our Little Switzerland. There is also a market in Hersbruck every Wednesday, Friday and Saturday morning where visitors can buy all the fresh food they need. 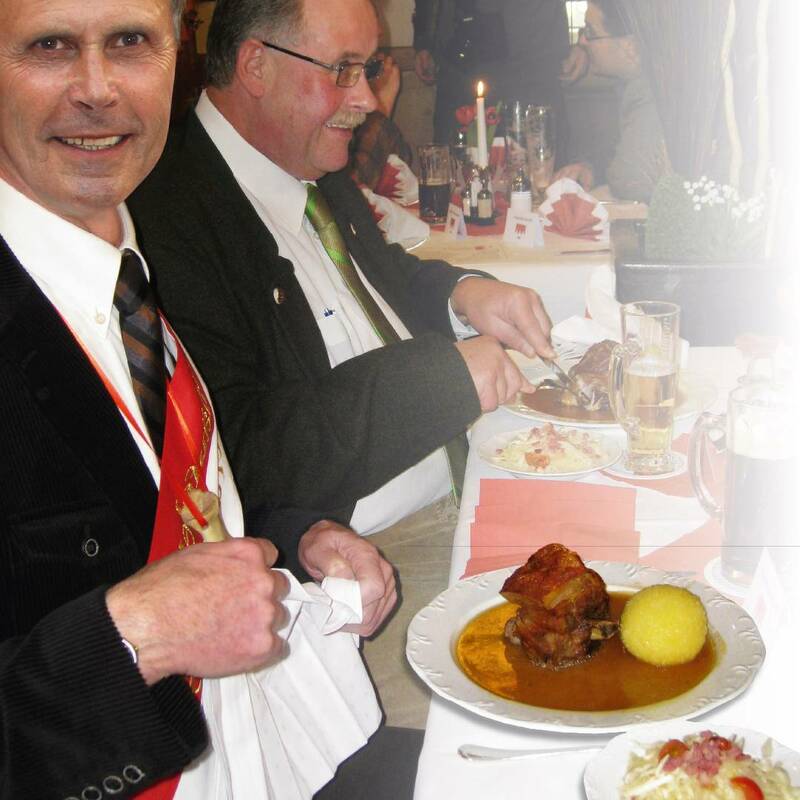 With its wealth of regional cuisine it is no wonder that Hersbruck was allowed to join the cittaslow, or Slow City movement in 2001 as the first town outside Italy. Cittaslow believes in supporting diversity of culture and the specialties of individual towns. The Pegnitz meanders peacefully through Hersbruck‘s Little Switzerland. Here one can still find a number of the old communal grazing meadows, on which, in former times, the herdsmen grazed their cattle. Owing to an abundance of well marked footpaths ramblers can best explore this delightful area on shanks‘s pony. Those who want to go up in the world can see the countryside while flying in a hot air balloon or making a round trip in a glider. Climbers may test their skills on steep rock faces or on roped routes. In Happurg the Nordic Walking Centre offers courses. There are cycle tracks of varying levels of difficulty. 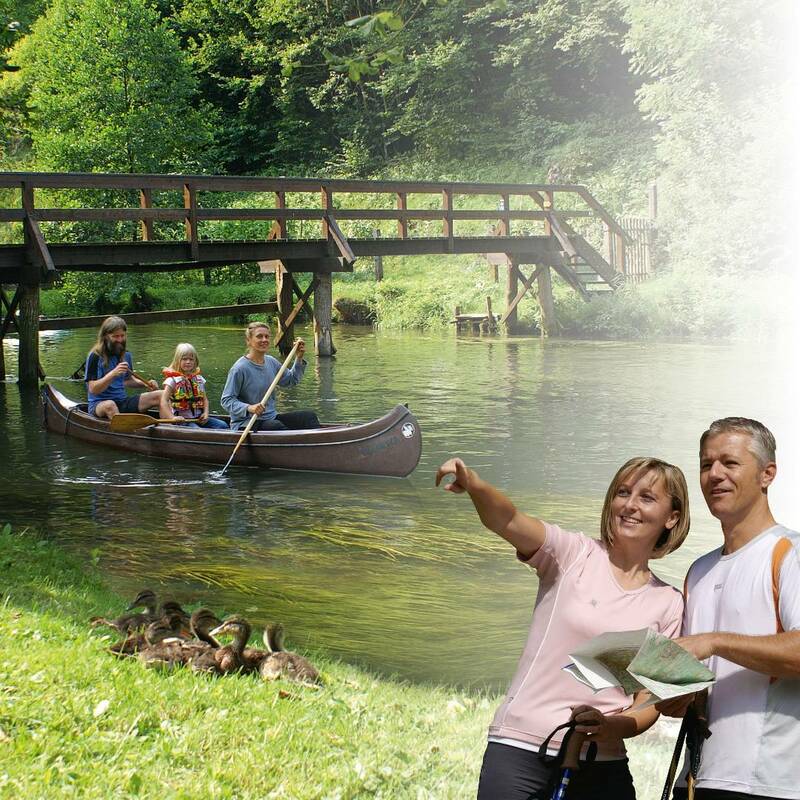 Fans of water sport can canoe down the river Pegnitz or sail across Happurg‘s man-made lake. In the winter there are ski lifts and attractive pistes for cross-country skiing, and sledging. 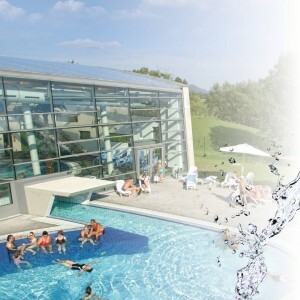 A number of places in Hersbruck‘s Little Switzerland have Kneipp hydrotherapy pools. Those who aren‘t afraid of cold water are welcome to strut through the water like a stork as once did Sebastion Kneipp. Everyone who likes it a bit warmer really must go to the Fackelmann Thermal Baths. Here a thermal pool with natural medicinal water at a temperature of 33 degrees is waiting for you. Bubbles from the bottom of the pool and massage jets sooth the tense and weary. Further relaxation is offered by Physio Wellness Hentes is their sauna and well-being „oasis“. Children can have lots of fun in the chute or the flow channel and those who are more sports-minded can swim as many lengths of the 25-metre pool as they like. The open-air pool on the banks of the Pegnitz is very attractive in the summer and is free of charge for visitors to the thermal baths. In Hersbruck‘s Little Switzerland the weary can soon become reinvigorated, this is, after all, a designated area of health and well-being. In clinics which enjoy excellent reputations doctors look after the well-being of their patients. The PsoriSol in Hersbruck is the place to go for the treatment of skin diseases and allergies. The Lympho-Opt in Hohenstadt provides treatment for varicose veins and the Frankenalbklinik in Engelthal provides therapy for mental illnesses. In addition many guesthouses and restaurants are suitable for those suffering from an allergy. 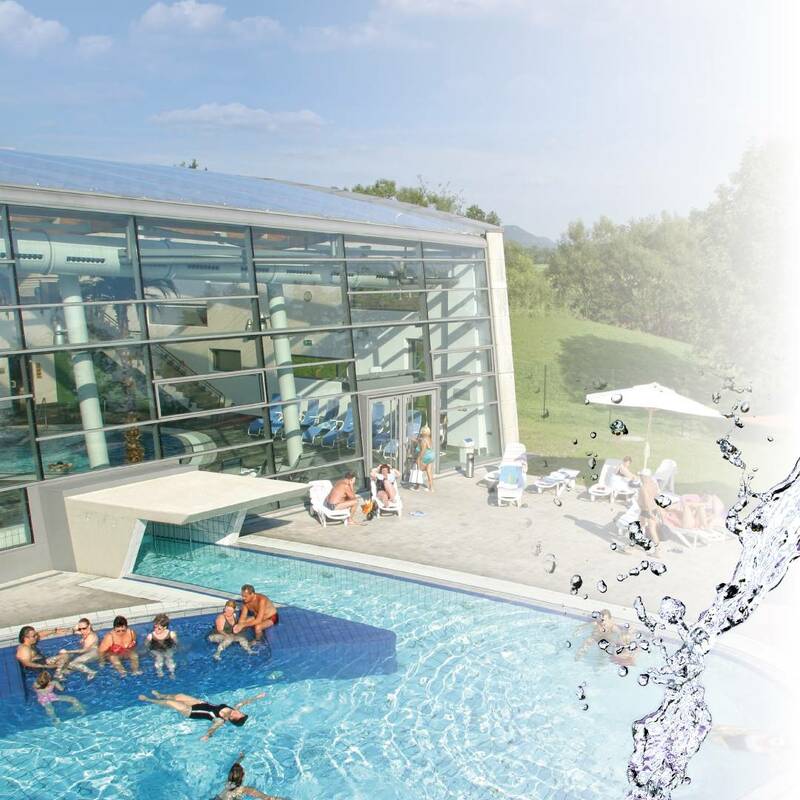 In and around Hersbruck there are attractive offers of services for health and well-being and exercise. Rambling, walking, cycling and Nordic walking are just of few of the rejuvenating activities available.